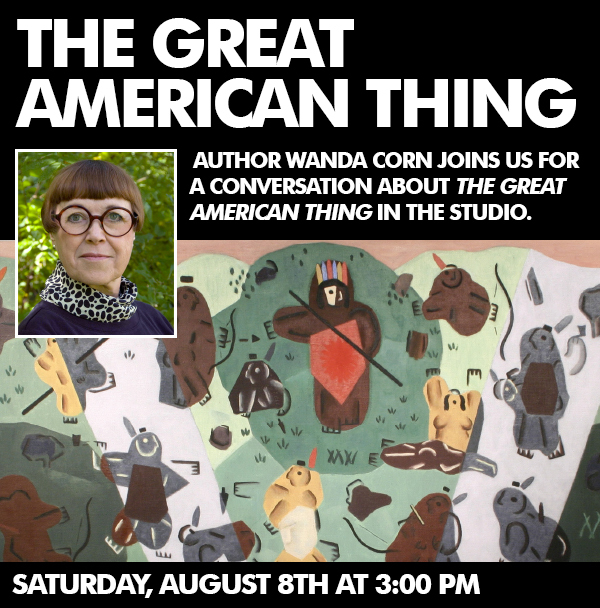 Join Wanda Corn, author and award winning Stanford professor, this Saturday at 3pm in the Studio for a conversation about American art. Light reception follows. 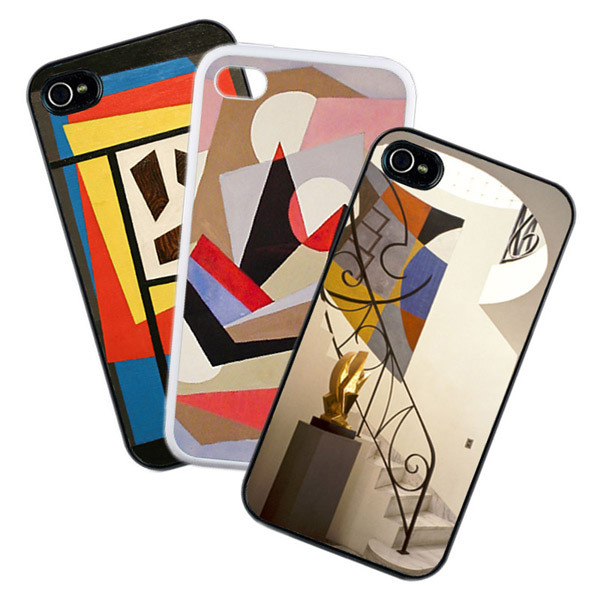 Custom Phone cases available now in our gift shop for iPhone 4,5,& 6 and Galaxy 3&4. Three images available in all sizes. 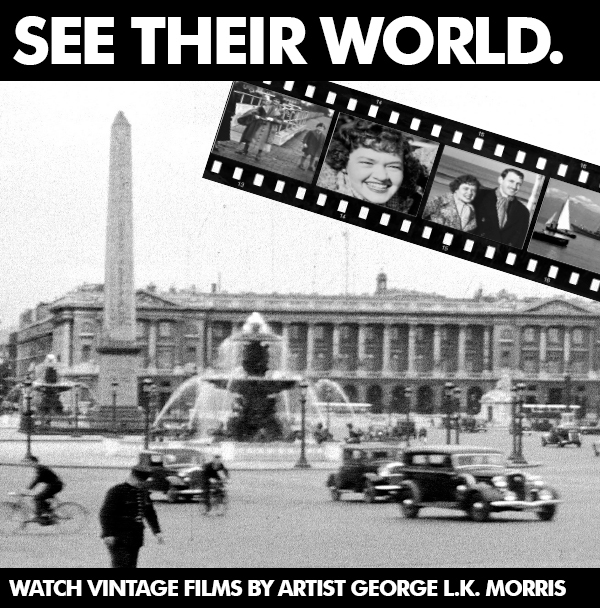 Highlights include "See Their World", short vintage films by artist George L.K. Morris of Lenox, NYC and Europe and previously unseen paintings by both Morris and Frelinghuysen. 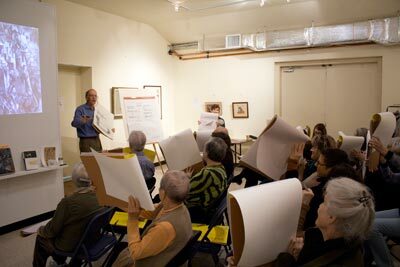 Adult education classes through OLLI (berkshireolli.org) begin April 29, led by Director Kinney Frelinghuysen.Click here to view last Spring's sold out sessions! Read our glowing TripAdvisor reviews, thanks for posting! Here are some headers: "Amazing little gem.." An absolute must-see.." "A must-see for those interested in architecture.." "A Modernist's Paradise.." "Unique historic site.." "Facinating.." "Small & interesting.."
A small 1942 oil and collage on board titled "Composition 1942" sold at Bonhams Auction in New York City for $77,500 in November. The work measures 16"x12". 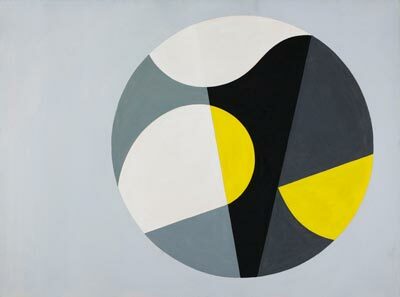 This 1937 painting by Sophie Taeuber-Arp was lent from the FMH&S collection to the major retrospective of her work at the Aargauer Kunsthaus in Switzerland and then to the Bielefeld Museum in Germany. She is regarded as a pioneer of Modernism and her image is on the 50 Swiss Franc note. Closed for the Season!--See you next Spring! Thank you to all the visitors and staff for making this a record breaking season! The eagerness of visitors to participate in the demos and drawing/visualizing exercises was inspiring. We are busy preserving the property and preparing for next season. Watch Artist Lester Trufant demonstrate his technique at 11am this Friday, August 29. Watch the three minute clip highlighting the House and Studio. Click here to view! Watch Artist Kinney Frelinghuysen demonstrate his technique at 11am this Friday, August 22. Watch artist Sean McCusker demonstrate his technique at 11am this Friday, August 15th. Watch artist Morris Bennett demonstrate his technique at 11am this Friday, August 1st. Watch artist Walter Pasko demonstrate his technique at 11am this Friday, July 25. We are featured as one of eight hotspots on Bentley Motors ideal drive through New England. See the beautiful images by clicking this link. 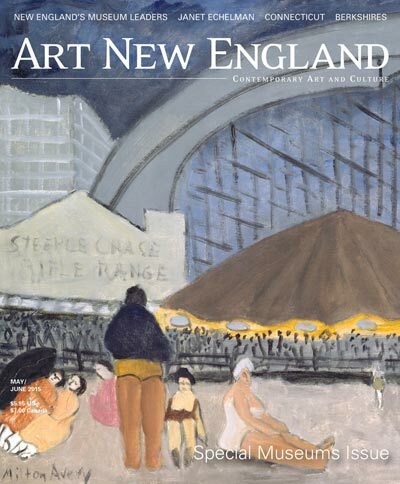 Watch artist Ghetta Hirsch demonstrate her technique at 11AM this Friday, July 18th. 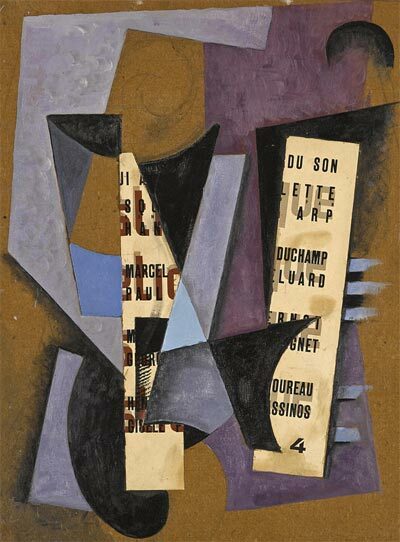 A 1944 Suzy Frelinghuysen titled "Hommage A Juan Gris" sold at Christie's Auction House NY on May 22nd for $56,250 reaching its high estimate. The 20"x16" oil on board resembles the large Juan Gris that is featured in the FMHS collection. Reynolda House in North Carolina is exhibiting Morris' Indian Composition #8 in their Reynolda Moderns show until June 1.Each painting has a one minute video interpreting it. A 1937 oil on canvas entitled “Alaska” by George L.K. 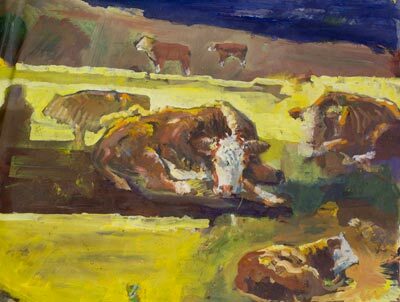 Morris sold for $19,000, more than double the estimate at Clarke Auction Gallery March 16th. It features the interesting quality of a double sided canvas in which the verso abstract painting is protected by plexi. 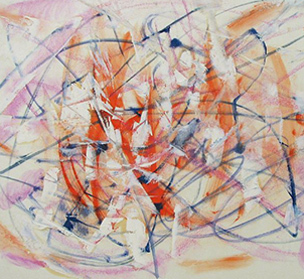 "Looking at abstract art can feel like drifting at sea, without a recognizable object, landscape or figure to cling to. The Frelinghuysen Morris House gives landmarks. George L.K. Morris was the child of a wealthy New England family, and Suzy Frelinghuysen was a high-society girl talented enough to sing with the New York City Opera. And they were both talented artists -- members of the American Abstract Art movement who championed the cause of Cubism long after its heyday. 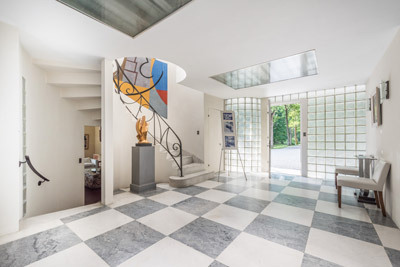 Tour the house and experience Exploring Shapes which views the role shapes play in the creation of modern art. Simple visual exercises on the tour shift the visitor away from verbal tendencies to discover the artistic language in the paintings. 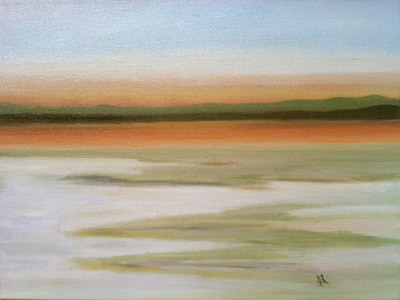 A small painting by the late George L.K. Morris was sold for $9,375 at Doyle NY Auction Galleries on May 8th, double the price it fetched 10 years earlier at Christie's and double its pre-sale estimate. 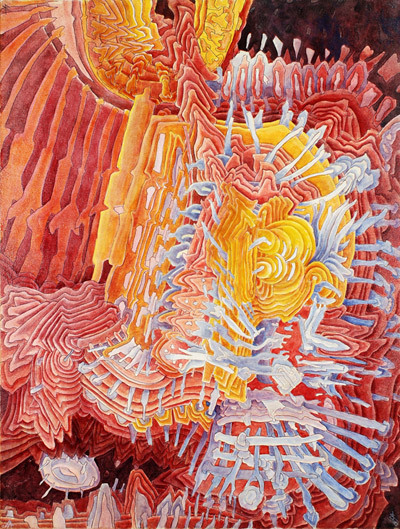 Titled, "Spatial Perspectives 1953", the oil on canvas measures 16x13 inches and features Morris' interest in surface rotational planes. 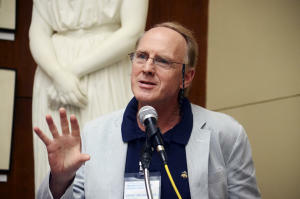 Morris' auction record of $169,000 was set in May 2008. La Montagne, the 4500 pound monumental cement sculpture by Gaston Lachaise,was successfully moved indoors to prevent further deterioration. 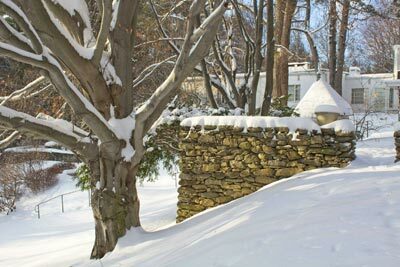 She has resided in a wooded grove on the grounds since her 1934 commission by George L.K. Morris.The approximately 4'x8' reclining woman was placed on 6 cement posts, six feet high. 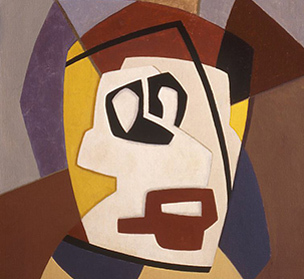 La Montagne is the culmination of a series begun in 1913 by Lachaise in New York. The work represents at once a landscape and the figure of Isabel Dutaud Nagle, the artist's muse, model and eventual wife. Lachaise envisioned a piece that was "great and solemn." "You are the Goddess I seek to express in all my work," he wrote to her in 1915-16. This veritable Mother Earth, mature and abstracted, looking East to the rising sun, offers a rewarding contemplation for people in motion. E. E. Cummings once likened Lachaise's work to a "slow arrow of beauty vigorously expressing something of a civilization of which speed seems to be the god." Lincoln Kirstein, a friend of the artist's and a founder of the School of American Ballet, described La Montagne as "the balance of breathing sumptuousness, a mountain raised into air, earth sharing the shape of clouds." (MoMA Retrospective, 1935). "Richmond Mountain Road twists through dense forest that envelopes it like a drooping canopy. 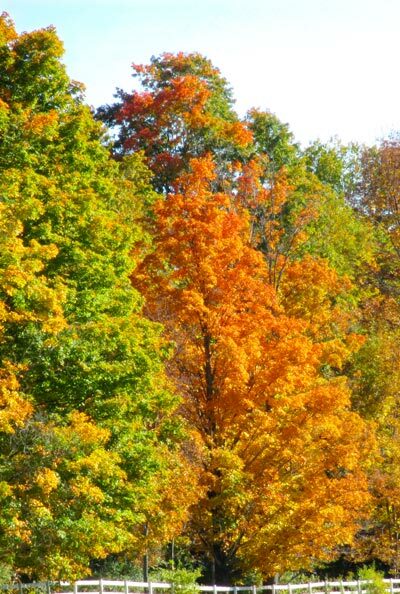 As you drive its undulating path in the Berkshires, the whirl of thickly entangled trees and branches whiz by as if fragmented lines in an abstract painting", writes Albany Times-Union. "Lovely walk up the the house & studio..speechless-lovely mix of medias. We enjoyed the garden and gazebo by the pond too!" A 1957 painting by the late George L.K. Morris was sold for $104,500 at Christie’s Auction House, New York, in their “Important American Paintings, Drawings & Sculpture” sale May 20th. 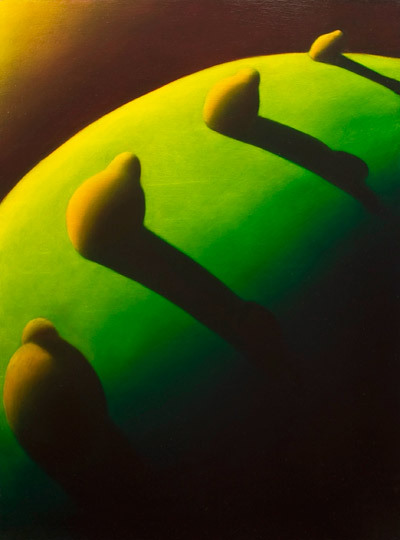 The price was well above Christie’s estimate of $50-70,000 but still below Morris’ auction record of $169,000 reached last May at Sotheby’s Auction House. Titled, “Labyrinth”; the painting measures 49x36 inches. 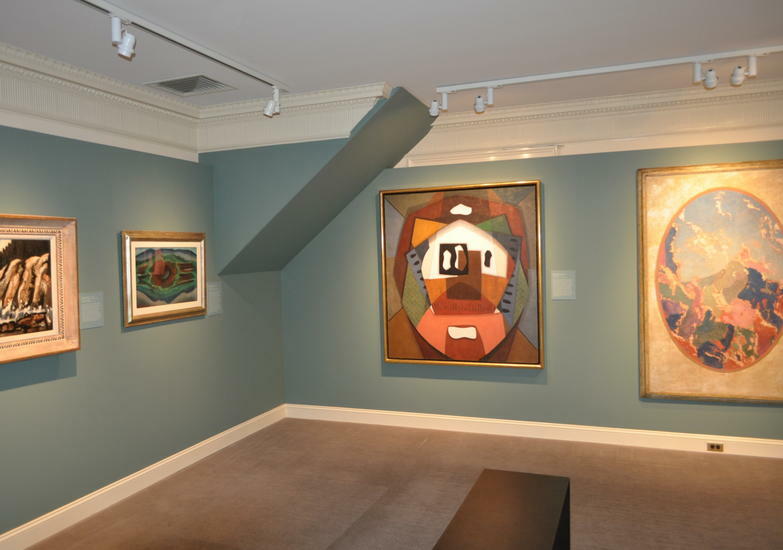 It was sold by The Montclair Art Museum in Montclair, New Jersey to benefit their Acquisition Endowment fund. 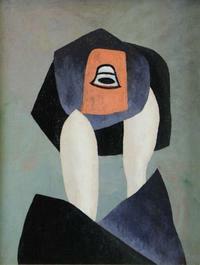 The museum had acquired it directly from the artist in 1974, the year before his death. Frelinghuysen Morris House & Studio Director Kinney Frelinghuysen commented that "it is unfortunate for such a beautiful painting to be removed from public view" as it will now go into a private collection. 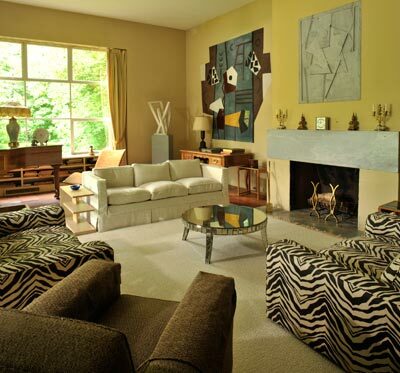 Morris’ paintings, sculptures, frescoes and archives and those of his wife Suzy Frelinghuysen, can be viewed at the Frelinghuysen Morris House & Studio in Lenox, MA in their International-style house, along with their collection of Master Cubist paintings. The house-museum is opens June 25 for hourly guided tours Thursday-Sunday. You didn't miss the enriching lectures at FMH&S. 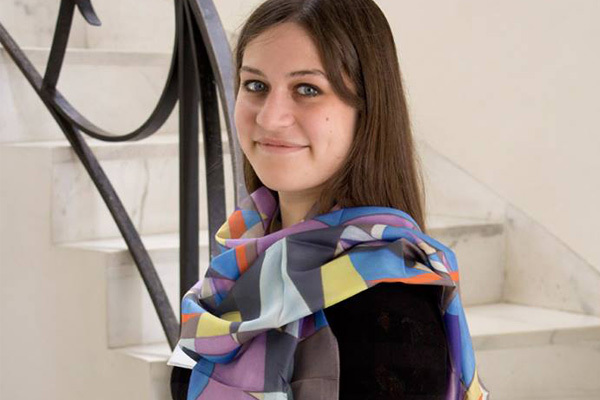 Click below to experience the first lecture by Clark Art History Professor, Kristina Wilson. Click on the vimeo icon to view the other four lectures. Using newly restored and edited films from Morris' 1934 Far Eastern voyage and a selection of Morris' late work, viewers are encouraged to make plausible connections between the paintings and films, and to arrive at possibly one avenue of interpretation. Click on the vimeo icon to view more films. Frelinghuysen Morris House & Studio has been awarded a National Endowment for the Humanities, "We the People" grant. The $36,265 award was given to support sustainable conservation of the collections and historic house. It will allow analysis of the complex data collected from a year long, ongoing environmental monitoring program. An outdoor weather station, 27 indoor dataloggers, pollutant data loggers, and microstations were placed on walls, in wall and ceiling cavities and in crawl spaces to collect and record temperature, relative humidity, pollutants and solar gain. This information will be used to understand climate activity inside and outside the house and solve problems such as moisture migration through walls and insure that the correct climate controls are being utilized. Listen to Director Kinney Frelinghuysen's interview with Alan Chartock about the House & Studio, the stories behind it, and this past season's special exhibit. In 1933, George L.K.Morris and Alexander Calder exhibited together at the Berkshire Museum. Morris most likely purchased the mobile from Calder at that time. 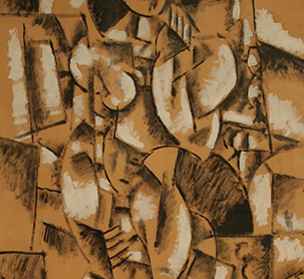 The two artists went on to exhibit at the highly publicized "Five Contemporary American Concretionists" show in 1936 at the Reinhardt Galleries in New York. 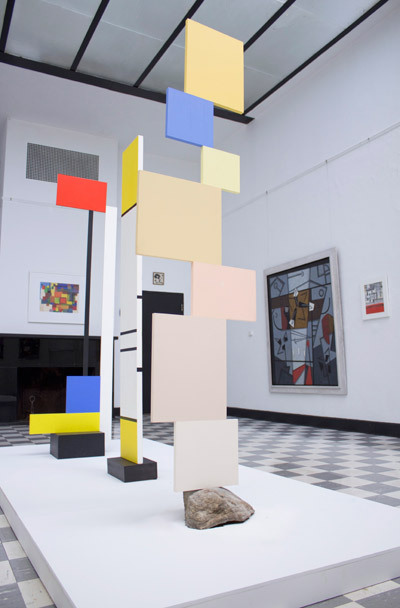 The mobile's installation in the Crane Room at the Berkshire Museum celebrates the homecoming for the Calder collection which has been on tour in New York, Paris, and Toronto. The Berkshire Museum was the first to give Calder a public commission, the mobiles in the theater. They also gave Morris his first exhibit. "Indian Composition", a 1942 George L.K. Morris painting owned by the Corcoran Gallery in Washington, D.C. has been replicated and enlarged to 150' tall to screen a luxury condominium project in Seoul, Korea. The condominiums are called Mega Hills and sell for $3 million dollars. They are located in the fashionable Gangnam section of Seoul, on Cheongdam Street which is sometimes referred to as the Fashion and Art Street or Rodeo Street, referring to Rodeo Drive in Beverly Hills, California. Mega-Mark, the construction company for the project, chose the Morris work for the giant screen to express the artistic and modern flavor of their high end condominiums in a neighborhood full of art galleries and boutiques. 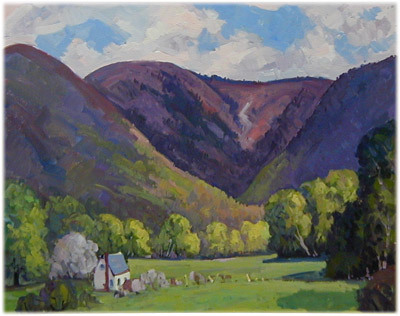 Frelinghuysen Morris House and Studio in Lenox, which owns the copyright to the painting, was paid a fee for the use of the image. Director Kinney Frelinghuysen would not disclose the figure but remarked, "It pays for the fully assessed property taxes the Foundation pays to the towns of Lenox and Stockbridge." He added, "I love that a piece of artwork shown in Seoul can be used to beautify a construction project and pay for schoolbooks in Lenox and Stockbridge". "Of all the historic houses in Berkshire County, the only one in which I feel the presence of non-ghostly inhabitants is the Frelinghuysen Morris House & Studio in Lenox," writes Berkshire Eagle reporter Milton Bass. "The art that George L.K. Morris and his wife, Suzy Frelinghuysen, incorporated into the very essence of their home gives you the feeling that at any moment one of them may step in from an adjoining room.